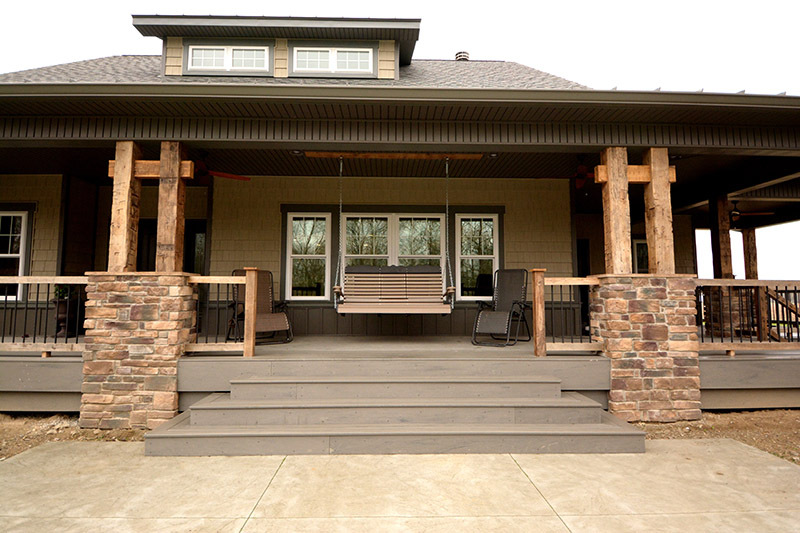 Most “beach” houses include easy access to white sandy beaches and an ocean front view. 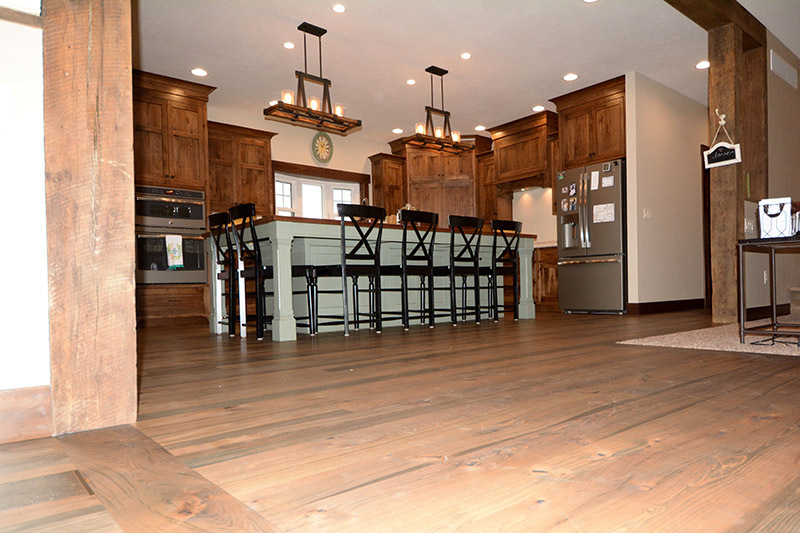 Our take on a “beech” house is a little different with solid White Oak beams and warm Beech flooring throughout. 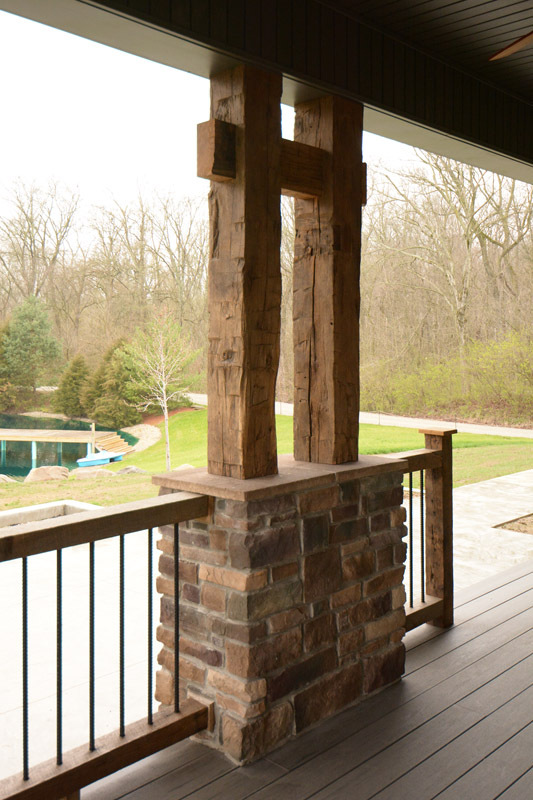 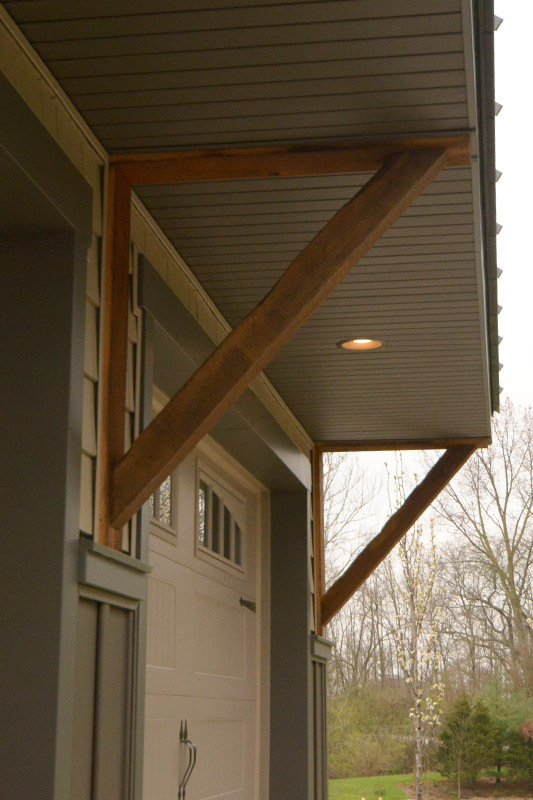 The exterior of the home includes these massive hand-hewn White Oak beams on the front porch which has an open view of the surrounding landscape. 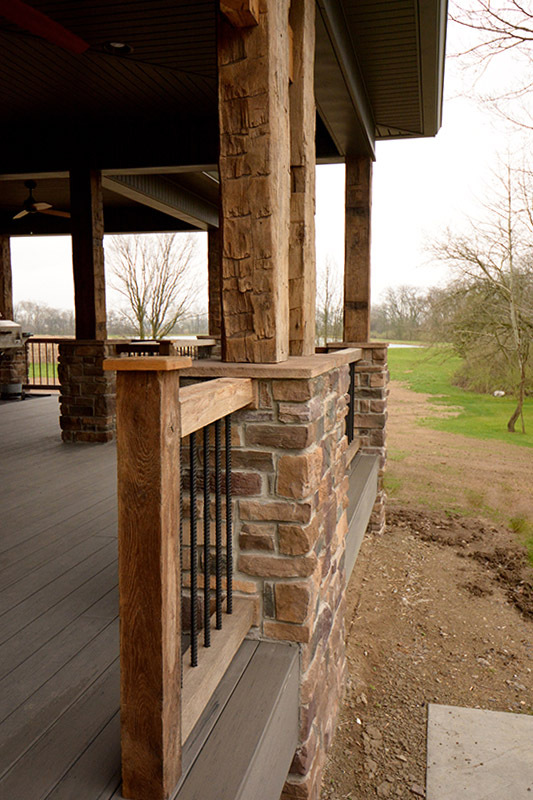 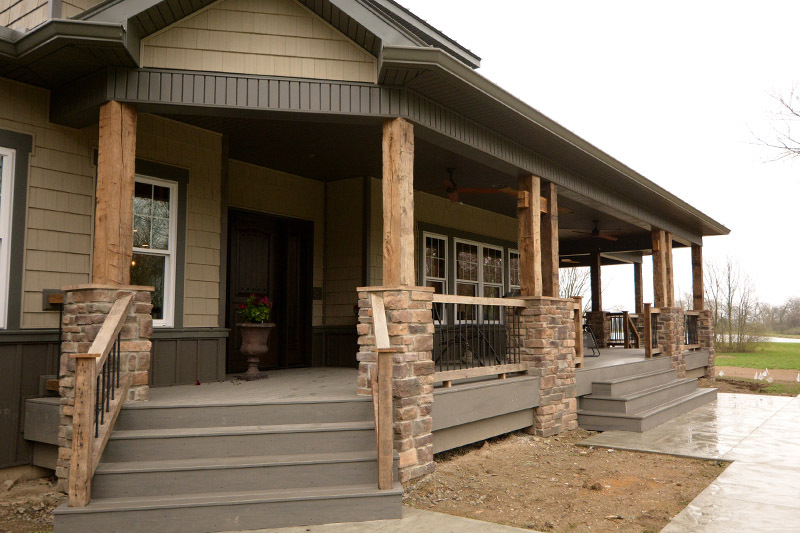 Add in the custom White Oak hand rails with steel rebar spindles and they provide a beautiful accent to the stone foundations of the porch. 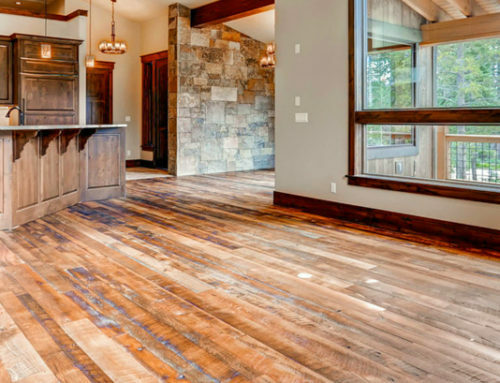 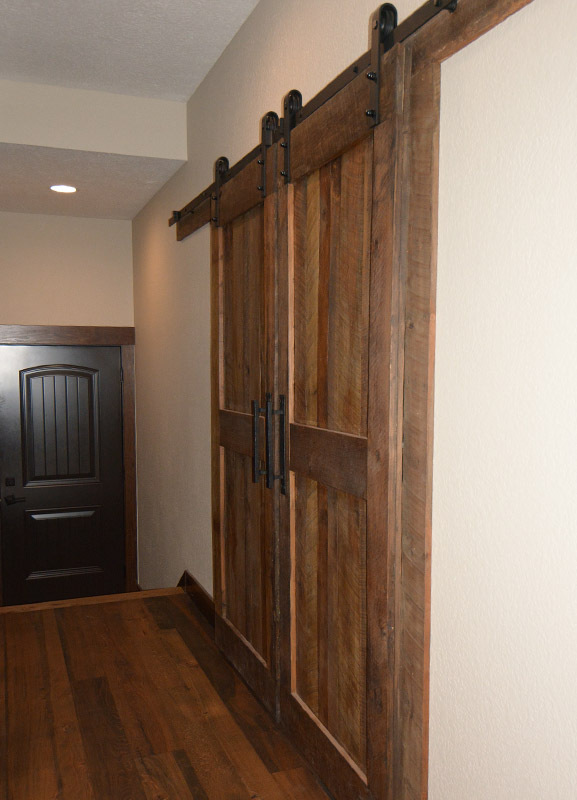 Once inside the home the Beech Flooring leads past reclaimed hardwood barn doors into the main living area. 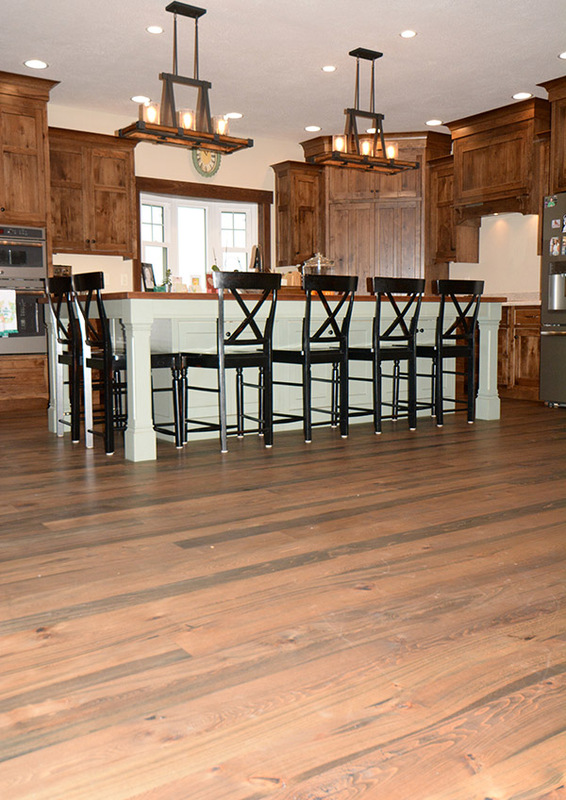 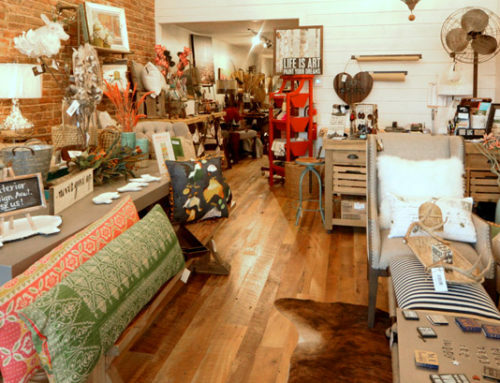 Here the space opens up to show the rustic warmth of the reclaimed Beech Flooring. 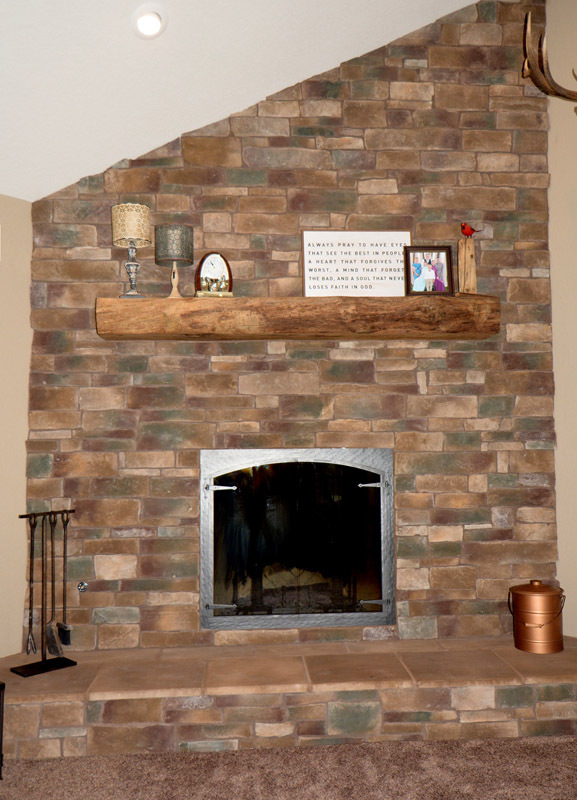 The stone fireplace is accented with a solid beam mantel. 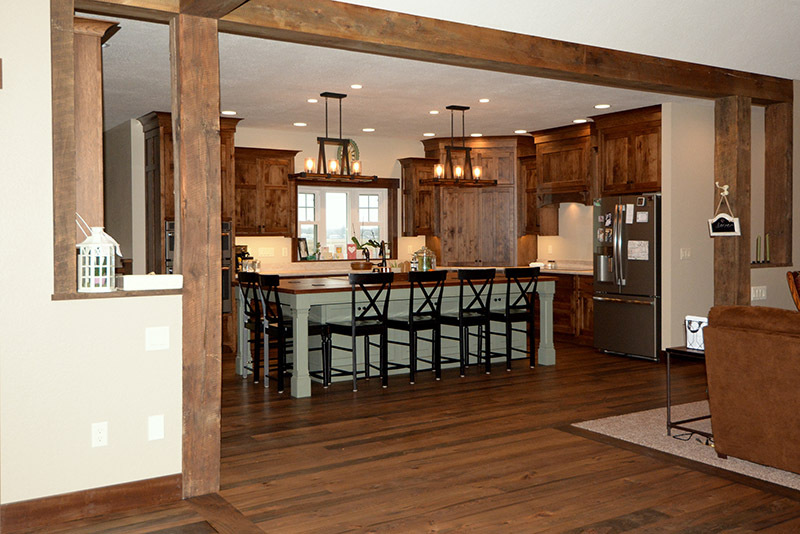 Solid Beech upright beams and Beech box beams on the ceiling frame out the space leading to the kitchen. 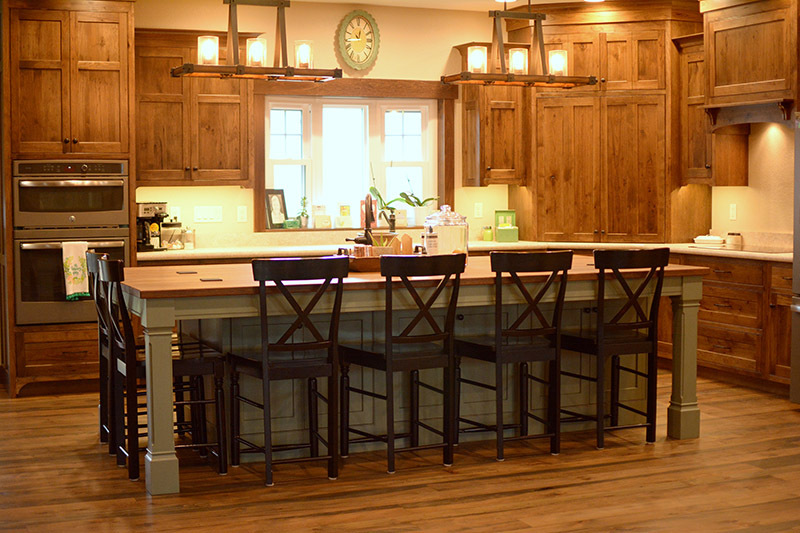 A true highlight in the kitchen is the custom White Oak countertop on the island. 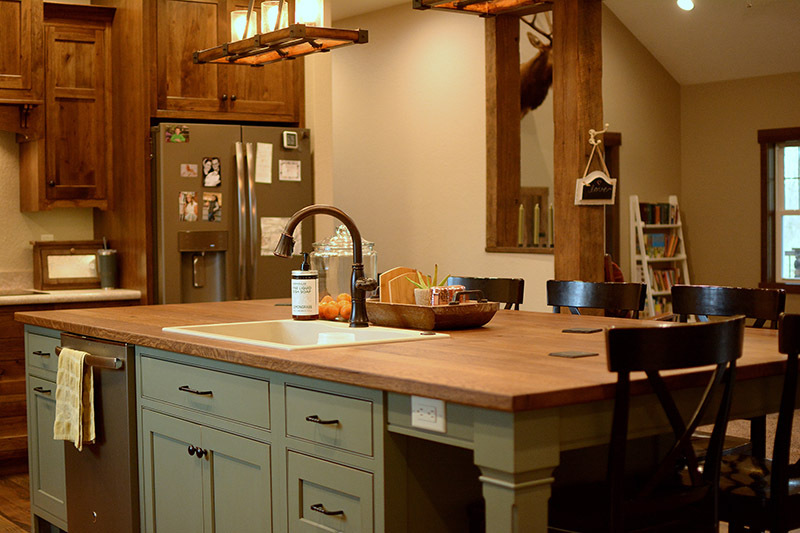 Complete with sink cutout this island will be both beautiful and completely functional for many years to come. 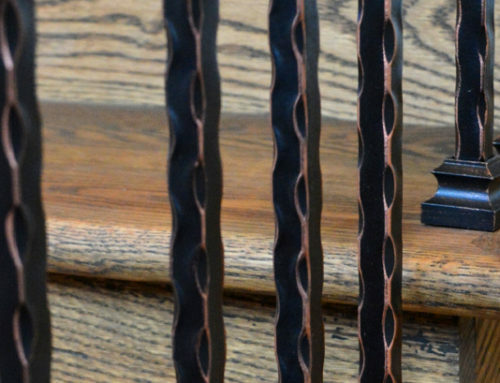 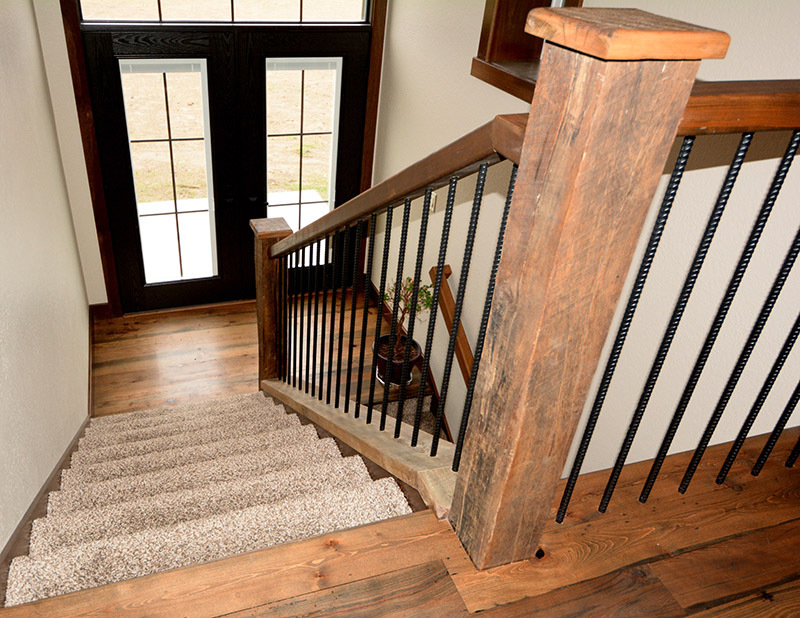 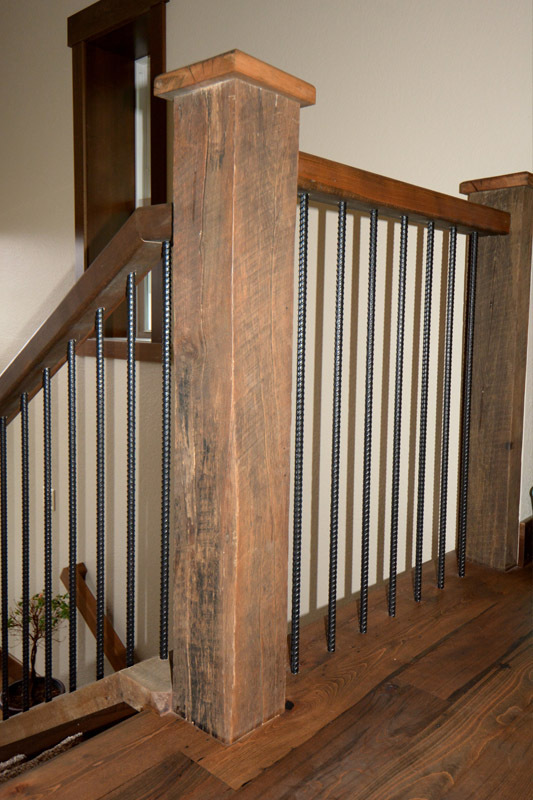 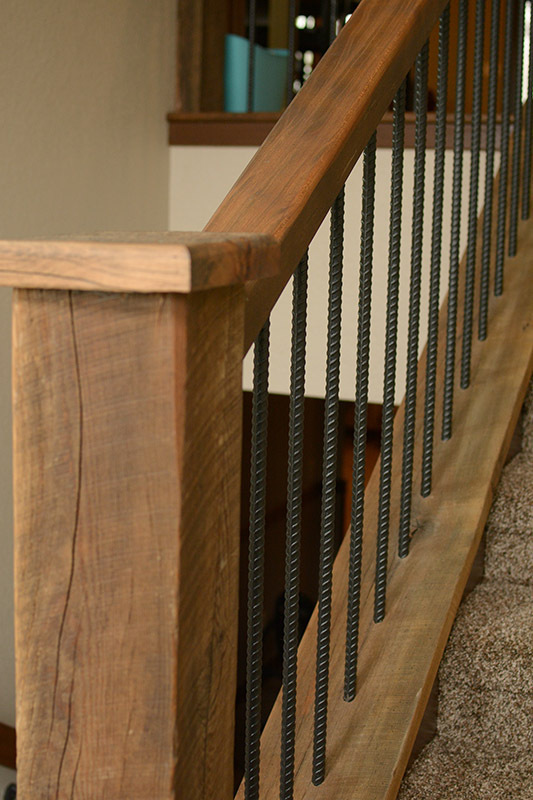 The stairs include reclaimed circle sawn Beech hardwood and incorporate the steel rebar spindles also found on the exterior front porch. 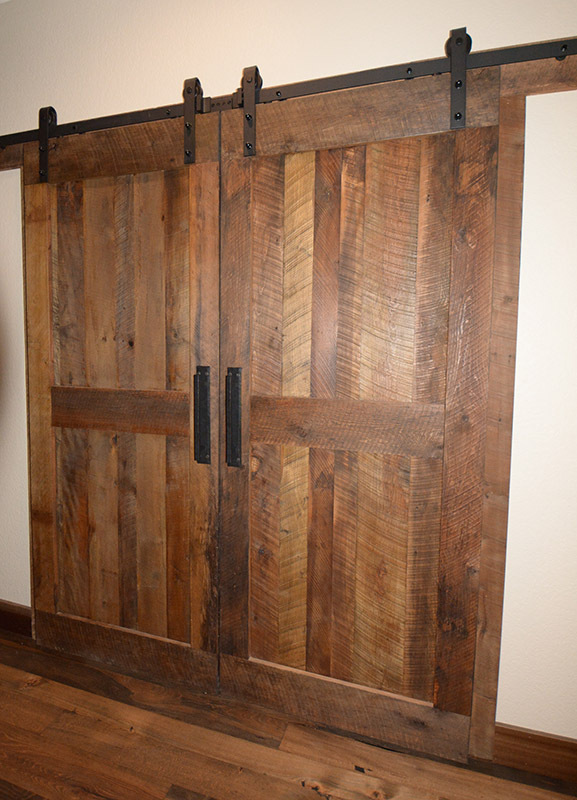 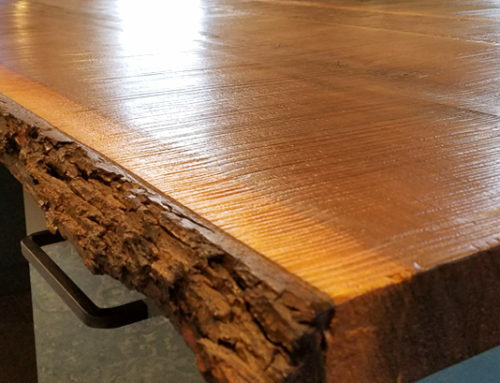 There is so much beauty in the use of reclaimed wood and other materials throughout this home it’s hard to show everything in photos. 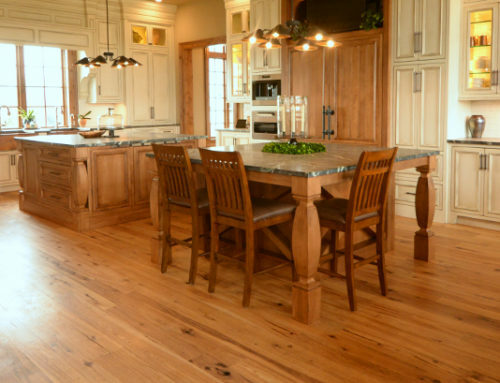 This truly is a “beech” house worth spending time in!